What story does your knee pits tell about your legs, hips and low back? (A LOT) Do you struggle with balance? You will get better understanding why from this workshop. Leave with tools from this workshop to retrain and strengthen your weak muscles in the legs, hips and low back. Don’t blame your hamstrings an longer get the real information about your legs. This information will be useful in your life on and off the yoga mat. Handouts provided. Sign up is quick and easy! I’m looking forward to seeing you for this informative learning session. Where everything starts . . . . . your feet. Do your feet hurt or feel tired? 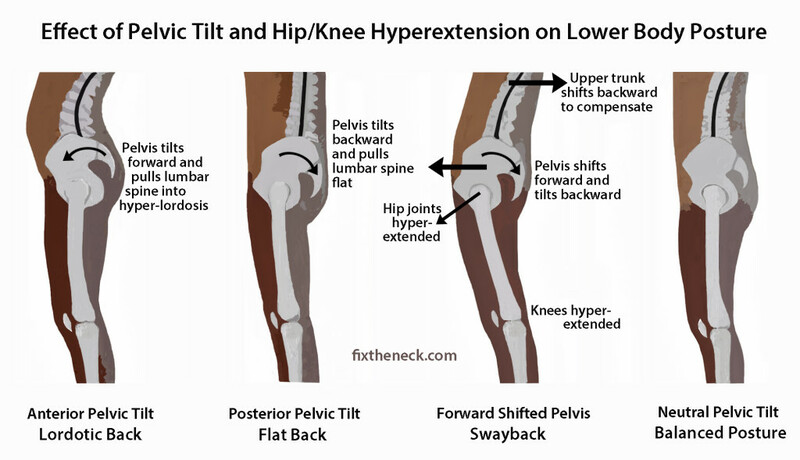 Do you think you have tight hamstrings or hips? How are your shoe choices affecting the health of your feet, ankles, knees and hips? 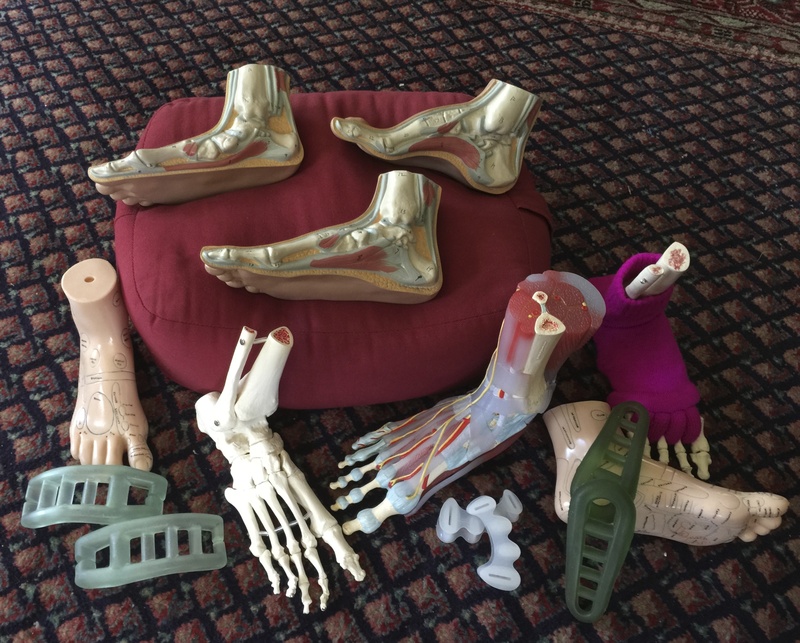 Come away with tools to help you find strong healthy feet. Sign up is quick and easy! I’m looking forward to seeing you for this popular informative session. Pelvic Floor – What’s going on down there? There are better things than Kegel exercises for you pelvic floor. How are your posture affects your pelvic floor… the price you pay for sitting so much. Learn some new information concerning the pelvic floor. Too tight, too loose, neutral pelvis, why is squatting so good for you? What about those squatty potties can they help and why? As a yoga therapist these and many more questions are presented to me very often. become informed, you do not have to cross your legs when you sneeze and you are never too old to change your pelvic floor. Make over your medicine cabinet using essential oils for health and healing. Whether you are new to essential oils or just want to learn more ways to utilize natural solutions in your everyday life, this workshop is for you. Learn how essential oils can help you boost your immune system when sniffles lurk everywhere, to calming your nerves after the rush of the holidays. Each participant will make 1 rollerball of essential oil mixture that can be used for a variety of purposes. Beth Allison is a Natural Solutions/Holistic Health/Essential Oil Educator, Wellness Advocate with doTERRA International. TriYoga® flows are slow and meditative in nature creating a blanced mind, body and spirit. Lynne travels from Tallahassee to offer these teachings that are not seen in yoga studios in this area. Discover a deeper level of yoga flows. This session will include flows to enhance the movement of energy through lower and upper body. Specific instruction will be provided to create relaxation in movement. This practice will include a variety of flowing sequences for lengthening the spine and strengthening the back. A fluid breath supports the flow of energy. Stretches specifically for the lower body will be the theme for this workshop. Tension is released and circulation enhanced. These postures prepare the body for a relaxed seated position to practice a guided pranayama and meditation session. TriYoga has an excellent system for working at the wall to build strength and improve flexibility. This progressive series has highly useful stretches for upper and lower body. A fun and informative session for practitioners and a not-to-be missed practice for teachers. A thoroughly nourishing practice for low backs and helpful for stress relief. 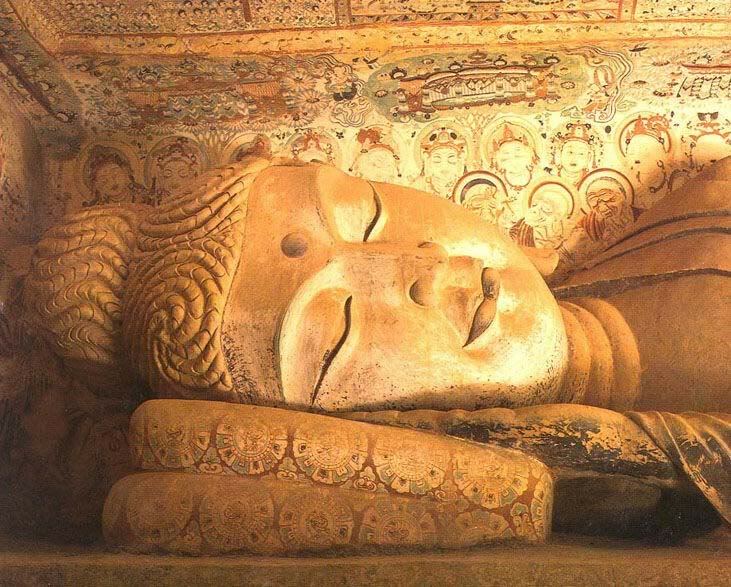 Yoga Nidra also known as yogic sleep is a combination of alert awareness and deep relaxation. 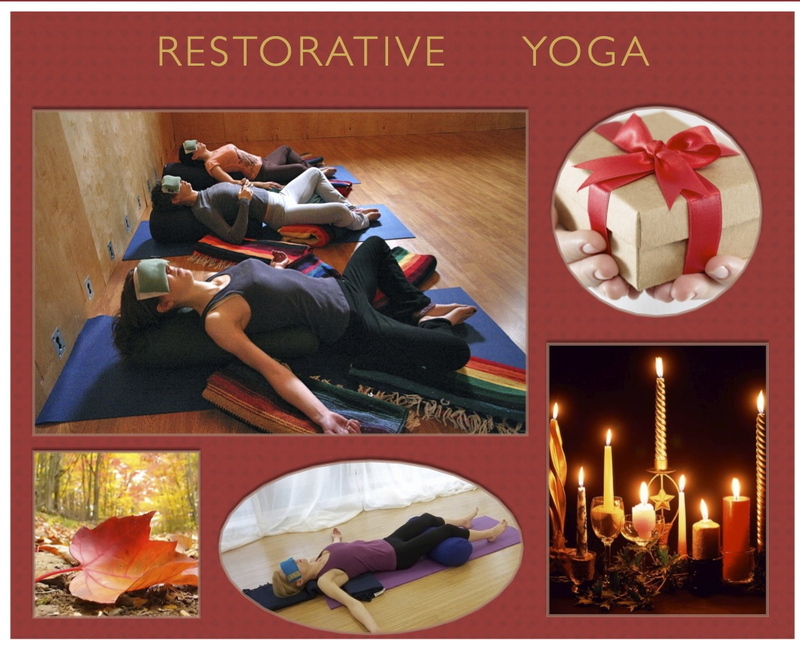 Yoga Nidra forms a complete experience of deep relaxation, self healing and integration. Yoga Nidra involves systematically relaxing the body, breath and mind as you enter a deep relaxed state. It can refresh the physical, emotional and mental bodies. This meditative practice is suitable for all levels of practitioners . No experience necessary! The busy holidays are about to begin. Find your calm center before the festivities with family and friends. 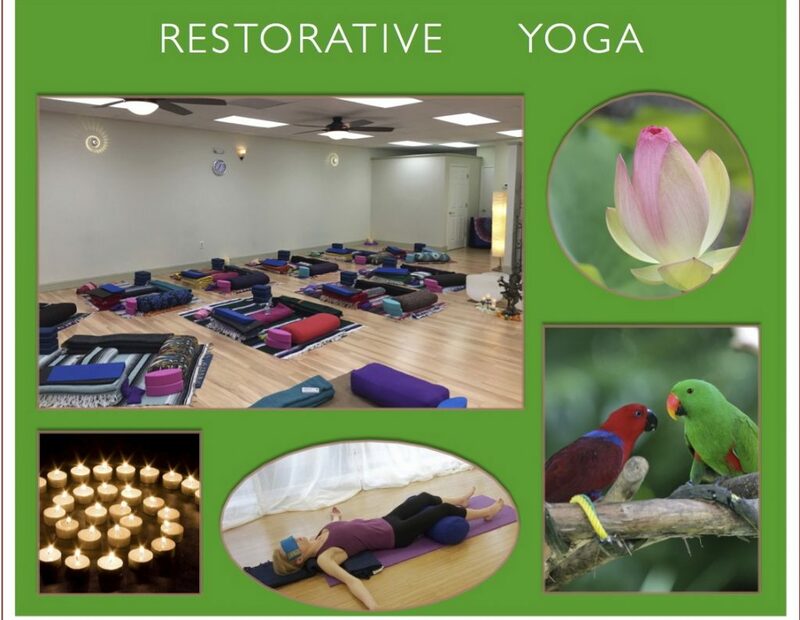 Enter the peaceful, relaxing oasis of Shanti Vinyasa and be restored. Restorative yoga uses props to find comfort in each yoga posture, allowing the nervous system to reset to a more peaceful balanced place. Class ends with a guided meditation. Preregistration is required, space and props are limited. 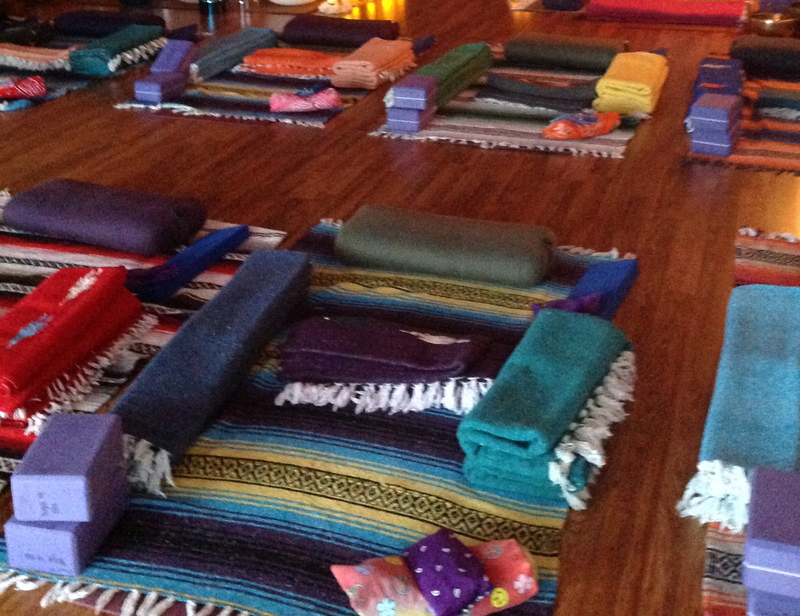 Unless otherwise noted, all special events are at Shanti Vinyasa Yoga Studio.